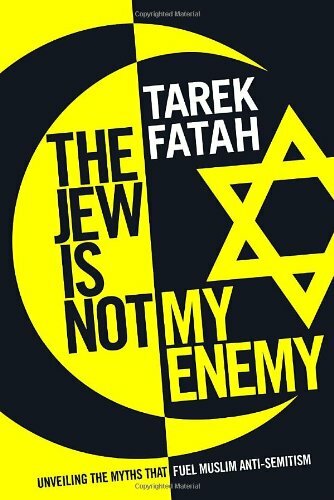 [PDF] The Jew is Not My Enemy: Unveiling the Myths that Fuel Muslim Anti-Semitism | Free eBooks Download - EBOOKEE! Description: A liberal Muslim and critically acclaimed author explores the historical, political, and theological basis for centuries of Muslim animosity towards Jews, debunking long-held myths and tracing a history of hate and its impact today. More than nine years after 9/11 and 60 years after the creation of the state of Israel, the world is no closer to solving, let alone understanding, the psychological and political divide between Jews and Muslims. While countless books have been written on the subject of terrorism, political Islam, and jihad, barely a handful address the theological and historical basis of the Jewâ€”Muslim divide. Following the terrorist attacks on Mumbai in November 2008, in which Pakistani jihadis sought out and murdered the members of a local Jewish centre, Tarek Fatah began an in-depth investigation of the historical basis for the crime. In this provocative new book, Fatah uses extensive research to trace how literature from as early as the seventh century has fueled the hatred of Jews by Muslims. Fatah debunks the anti-Jewish writings of the Hadith literature, takes apart the Arab supremacist doctrines that lend fuel to the fire, and reinterprets supposed anti-Jewish passages in the Quran. In doing so he argues that hating Jews is against the essence of the Islamic spirit and suggests what needs to be done to eliminate the agonizing friction between the two communities. No comments for "[PDF] The Jew is Not My Enemy: Unveiling the Myths that Fuel Muslim Anti-Semitism".